Arranged by Rae Moses, Larry Clark, and Carl Strommen. Christmas. Book and CD. With Standard notation. 32 pages. Carl Fischer #WF00099. Published by Carl Fischer (CF.WF99). ISBN 825882664. CD Arrangements by Rae Moses. 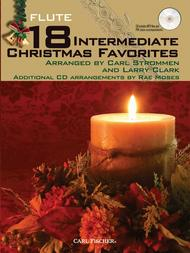 Instrumentalists searching for enjoyable new Christmas season material need look no further. This exciting new collection contains 18 popular holiday favorites in a variety of different styles, from classical, to jazz, to rock, to Latin. Each play-along track on the included CD uses background instruments that will make players feel like they are in the band or part of the orchestra. As an added bonus, the CD also contains printable PDF files of piano accompaniments for all songs, so that they may be performed in concert or at church. Features favorites such as ?The First Noel,? ?Joy to the World,? ?O Little Town of Bethlehem,? ?We Wish You a Merry Christmas,? and more. 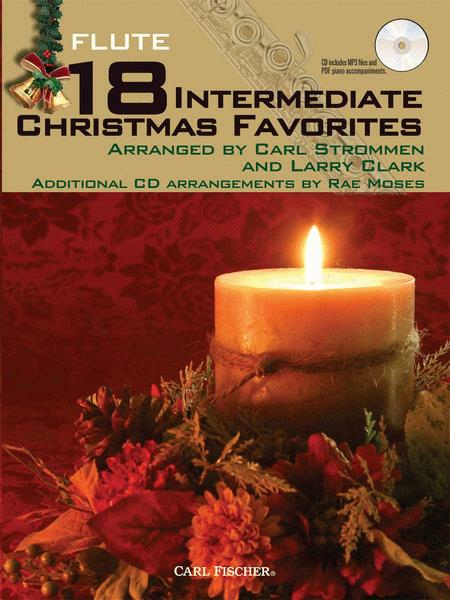 Veteran arrangers Carl Strommen and Larry Clark have teamed up to create this exceptional offering for instrumentalists of all ages looking to play some holiday music just for the fun of it! Walts of the Flowers from the Ballet "The Nutcracker"
November 15, 2014 So much fun to play! The variety in this book is outstanding. Great intermediate pieces ranging from classical to rock to swing. I love anything that Strommen arranges.